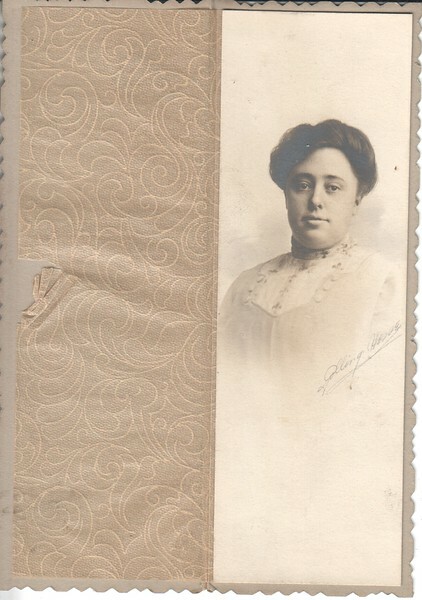 Note on back "Beryl Whittier 1911". Photo by Golling Hesse Studios, Minneapolis. The Whittier girls were contemporaries of the Littlefield girls and Fred Stewart. Beryl is in the 1900 Minneapolis city directory as a student.